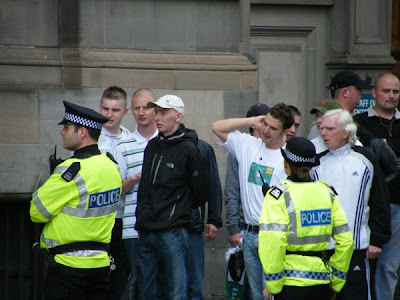 Several protesters at an Armed Forces have been confirmed as Celtic and IRA Supporters. The "sickening" protests were condemned by public figures, including Secretary of State for Scotland Jim Murphy and the leader of Glasgow City Council, Steven Purcell. Police have confirmed that one woman and 12 men were arrested and charged after trouble flared at Saturday's event in George Square. 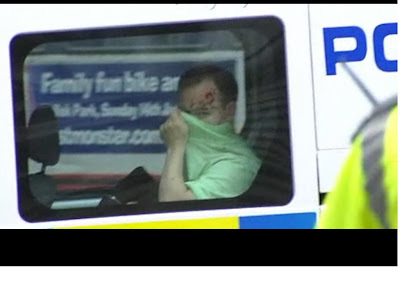 Images of the sick protesters in their Celtic colours on their social networking pages were captured and posted on several websitesfor all the world to see.